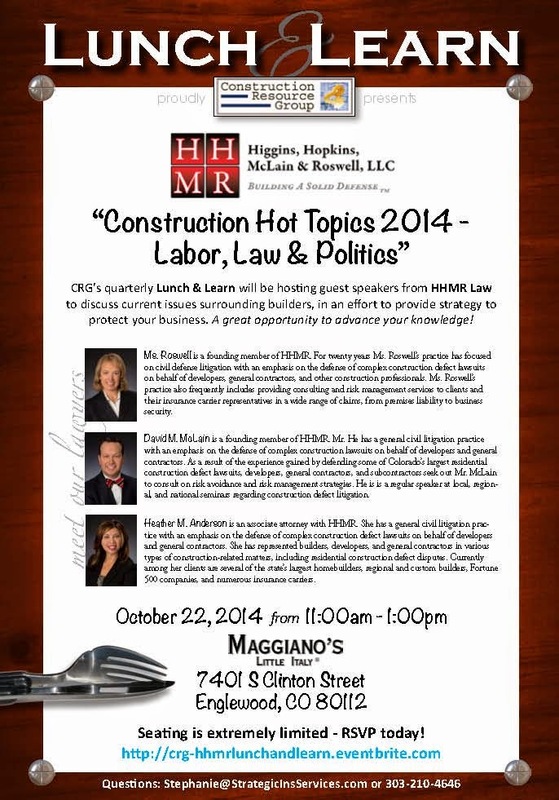 The Construction Resource Group will be hosting a Builder Lunch & Learn. If you are a Colorado builder and are interested in attending, you can visit the Eventbrite website to reserve your spot. Seating is extremely limited.